I am a tamilnadu govt employee working in coimbatore corporation. 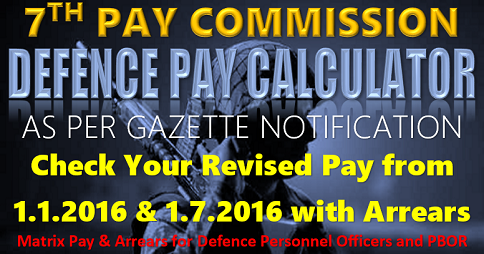 My basic pay and grade pay on 31.12.2015 was 11710 + 2800. My yearly increment date is January 1. 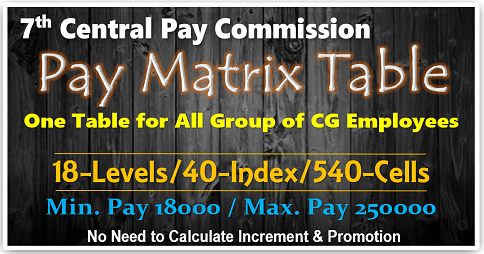 The pay matrix table for level 13 is modified taking 2.67 as multiplication facor. Thats all . this gives a marginal benefit. But, the general multification factor of 2.57 is uniform( constant )factor for all levels.for arriving at the new basic pay(notional). . please donot mix these two things as these are two different aspects. 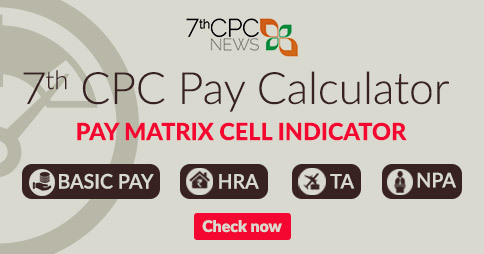 Now after using the general constant multification factor of 2.57 and after determining the notional basic pay as arrived at now go to the matrix table as second step and at your appropriate level try to find the cell(index) where equal to or above value of notional basic pay is seen and fix that as your final basic pay for 7th cpc. e.g. say level 13 basic drafwn is 46100. multiply with 2.57 for notional b.p that takes u to 1 18 477 now go to the revised matrx table aand look for 1 18477 under level 13. The first cell itself is 1 23 000. so your final b p is 1 23 100. Anomaly if a person in pay scale of 800-275-13500 and a person in new pay scale of 8000-275-13500 (entry A group) retire before 2005 on last pay drawn of Rs. 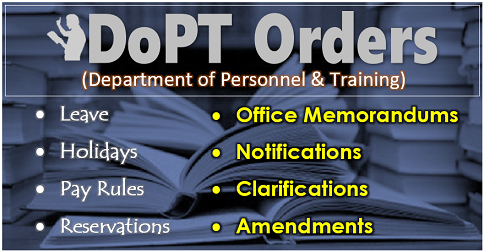 11025 then first person who was placed in PB-2, Rs. 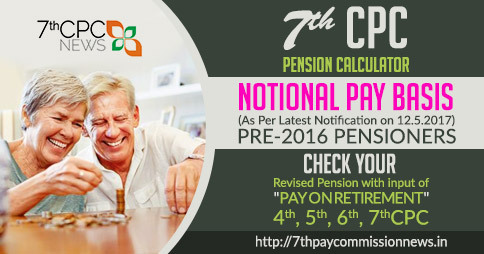 9300-34800,GP-5400 as per 6th pay commission will get more pension than the later one who was placed in a higher PB-3,Rs. 16500-39100,GP-5400. Because the first one will get a pension of Rs. 33600 whereas the second one will get a pension of Rs. 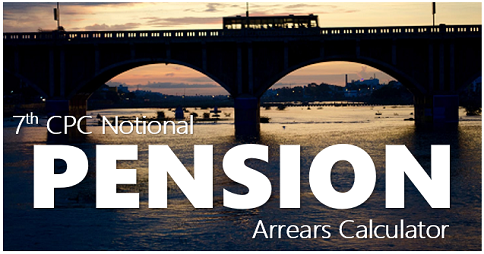 33500 as per latest pension fixation formula/table. This anomaly can only be removed if instead of mulipliction factor of 2.57 a multiplication factor of 2.67 is applied as has been done for higher GP. Level 13 pay martix multiplication factor increased from 2.57 to 2.67. 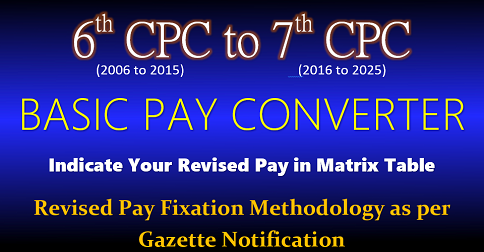 Whether basic pay and grade pay as per 6th CPC will be multiplied by 2.67 or 2.57 only and the new basic pay will be fix as per 2.57 multiplication factor only? Can any body explain?